When you have a fleet of vehicles that needs signwriting, Perth Graphics Centre will make sure that they are done quickly, efficiently and consistently. Our colour matching is second to none and with a range of printing and vinyl-cutting options, it doesn’t matter whether your branding is one colour or full colour. 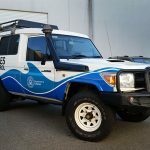 We painstakingly measure each vehicle to ensure absolute uniformity, and if there are different models in the fleet, we will present you with a proof to show you how to carry your theme across your entire fleet. 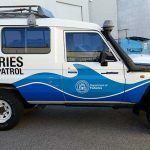 When the graphics are printed, we laminate with a UV-absorbing clear that extends the life of the inks, while we only ever use cast vinyl on vehicles so that there is never a risk of graphics lifting or peeling. 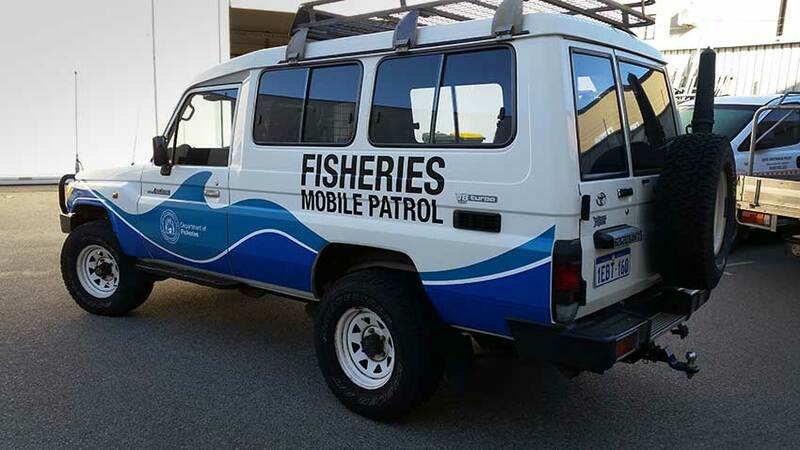 Like the Department of Fisheries vehicle above, our products are able to withstand the harshest conditions – salt, snow, rail, hail or baking sun – Perth Graphics Centre’s fleet graphics last the distance. 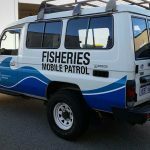 The shapes, colours and message have been carried across from the Landcruiser seen here to the HiLuxes we completed earlier. 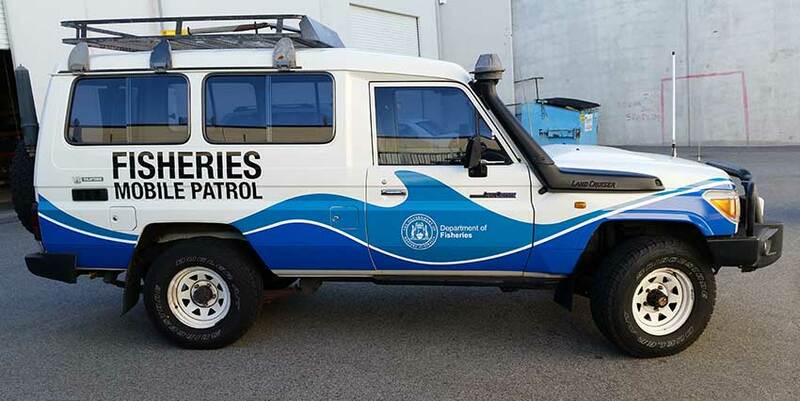 The result is a consistent message and vehicles which look great for many years. 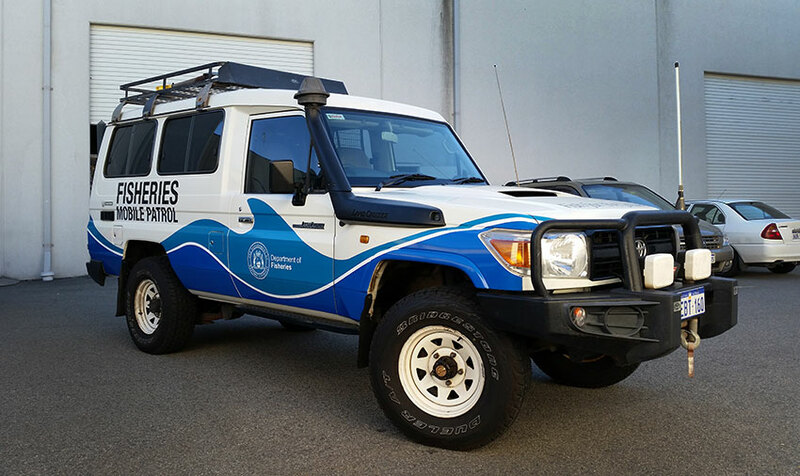 If you have a fleet of vehicles you need signwriting for, then Perth Graphics Centre is the sign shop to go to. We’re waiting for your call.